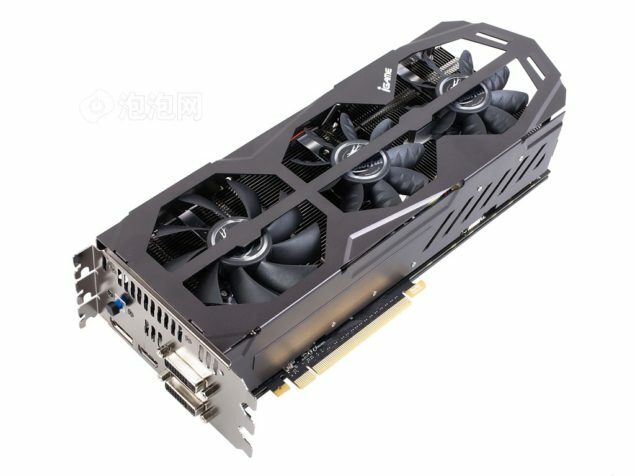 Colorful’s flagship iGame Kudan GTX 680 graphics card which features a custom designed PCB along with a triple slot cooler has been listed in China for a massive price of $950 (6000 Chinese Yuan). Two variants with variable clock speeds are available, one is the 4GB version which features core clock of 1059MHz and 1502MHz memory clock (6GHz effective). This model is available at 5998 Chinese Yen which amounts to $950 US. The other is a 2GB variant with faster clock speeds of 1110MHz and 1600MHz memory clock (6.4GHz Effective). This model is listed for 5699 Chinese Yen which equals at $900 US. These are pretty heavy prices considering you could get a GTX 690 for paying a bit more but iGame Kudan is still to be considered the most heavily modified GTX 680 ever made featuring a triple slot tri-fan cooler, tougher VRM phases including a plugin board for additional phases and Air-Kit compact heatsinks. The iGame Kudan 680 is genuinely an overclockers dream card. Additionally, Colorful also is preparing a fully passive GTX 680 which you can check out here.